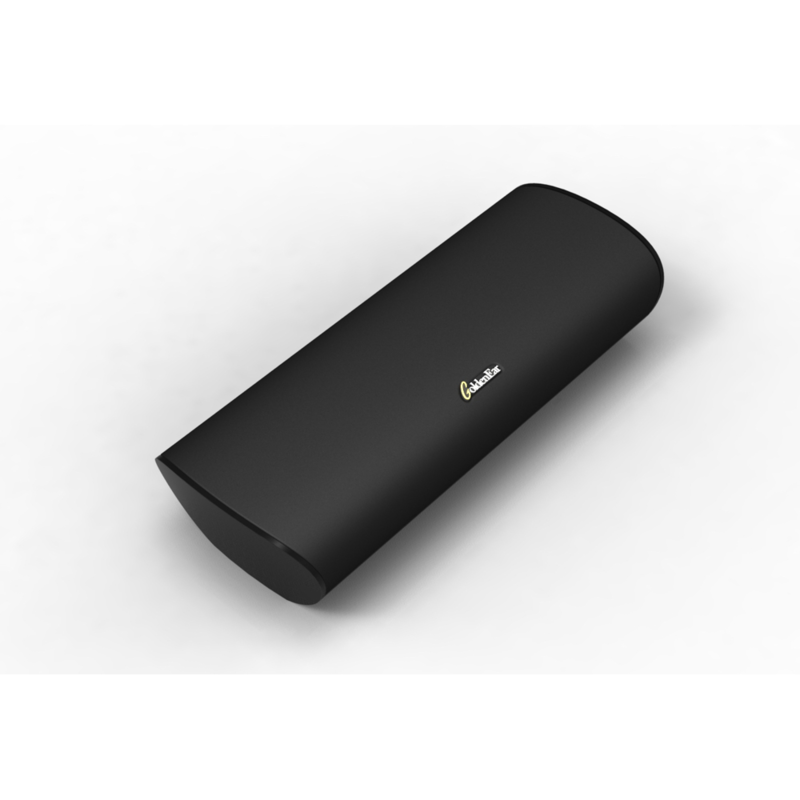 The SuperSat 3 is an elegantly curved, satellite speaker designed for high-performance from a compact enclosure. 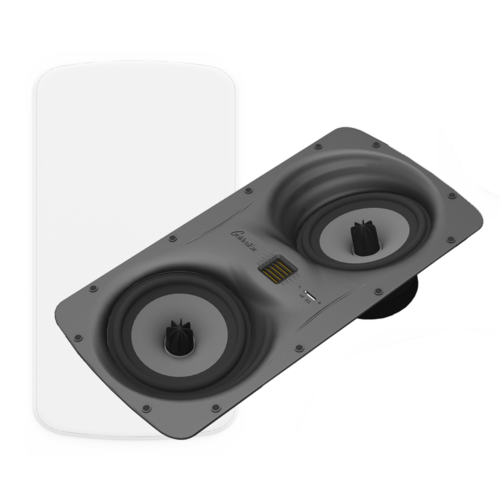 It’s also the ideal matching rear or side surround speaker for a system based on the Triton Two or SuperSat 50. 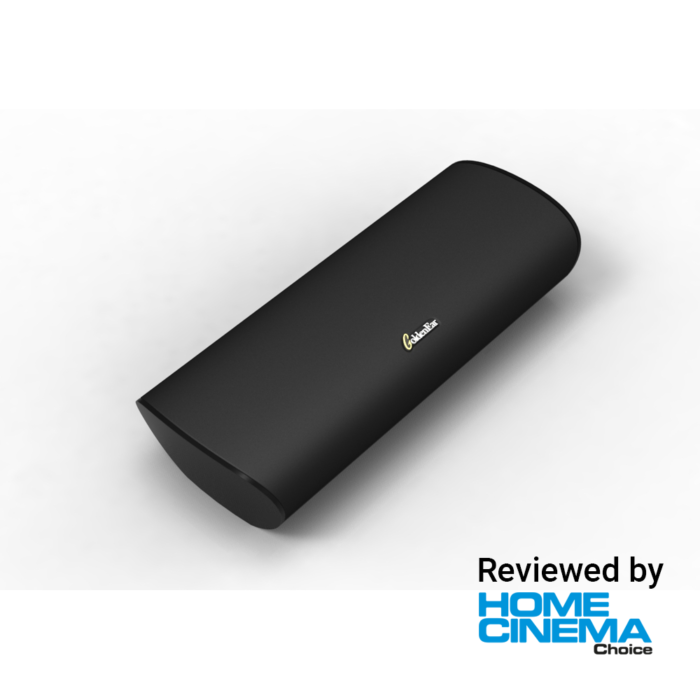 Alternatively, four SuperSat 3s and one SuperSat 3C, combined with a ForceField 3 powered subwoofer, make up the superlative SuperCinema 3 sub/sat multichannel system. As with the SuperSat 50, there is both a vertical model (SuperSat 3) and a horizontal model optimised specifically for centre-channel applications (SuperSat 3C). 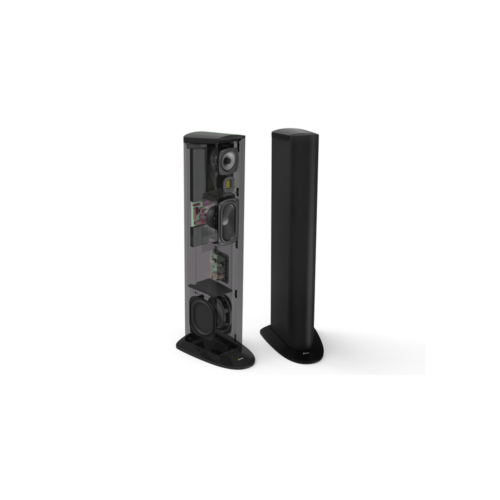 The SuperSat 3’s svelte, 69mm deep, 305mm tall cabinet is constructed from a rigid, non-resonant marble powder infused polymer and is finished in a gorgeous piano black. The SuperSat 3 models incorporate two GoldenEar MVPP 4.5″ cast-basket bass/midrange drivers positioned on either side of the HVFR tweeter. The SuperSat 3 includes a stand for shelf mounting. 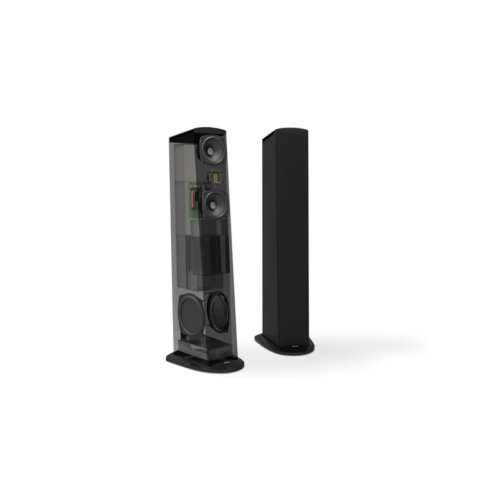 The 3C includes an adjustable foot for ideal centre channel positioning. Both models incorporate a threaded insert as well as keyhole mounts for wall mounting or use with the optional floor stand. "This is a system that can craft a soundstage dripping with convincing detail".